Our exclusive 5-year warranty provides value-added benefits to each and every Raytech instrument. 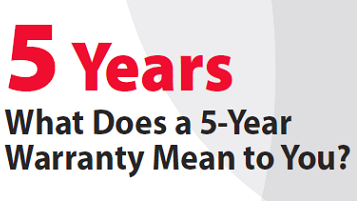 Our customers know that the Raytech standard 5-year warranty means they will have years of trouble-free operation, without the cost of replacing their instruments. If your current testing equipment doesn’t come standard with a 5-year warranty, contact us at 888 484 3779.